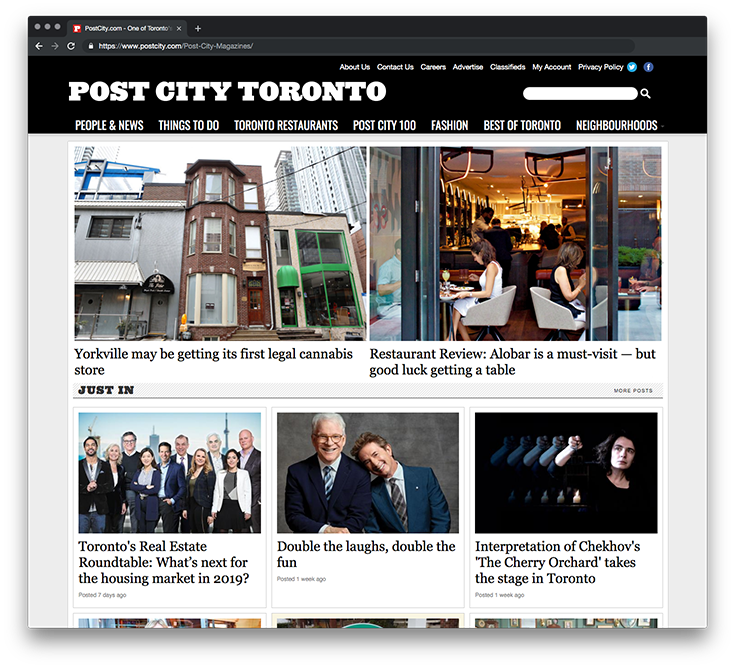 Post City Magazines' website is a leading source for breaking news about Toronto's restaurants, arts scene, local politics and real estate. The site also hosts blogs by some of Toronto’s top names in food and drink, fashion, film and entertainment. 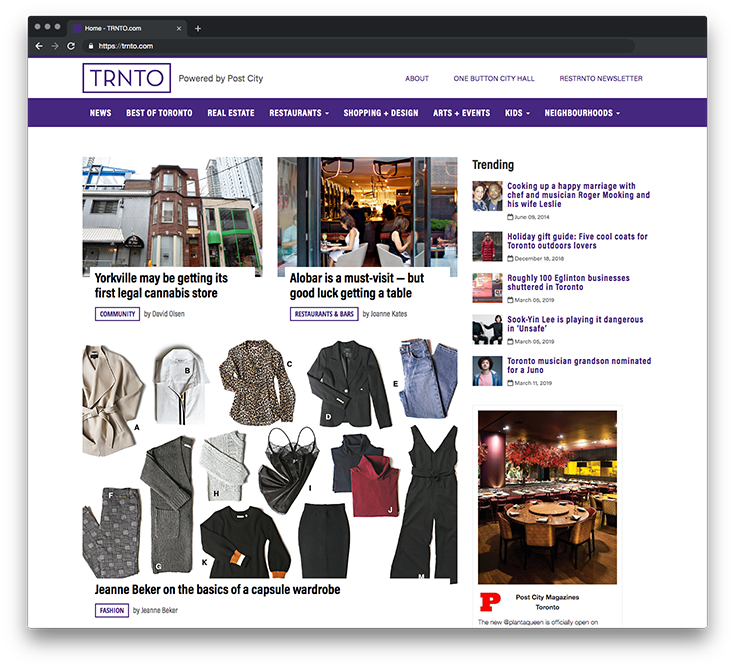 Powered by PostCity, TRNTO.com is our upcoming online experience for the most sophisticated and savvy Torontonians. Find out more, talk to us!